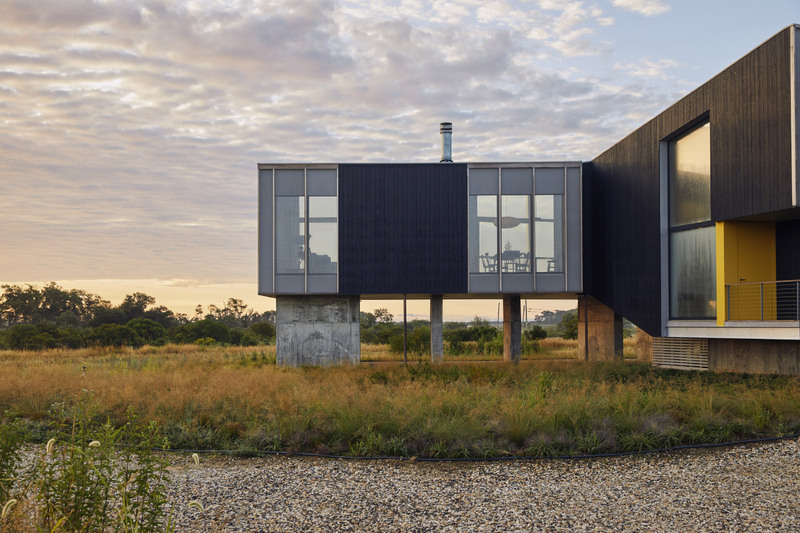 2017 Best of Design Award for Landscape – Private: La Grange Pavilion Architect: Murray Legge Architecture Location: La Grange, Texas La Grange Pavilion is a landscape intervention for a house perched on a bluff overlooking the Colorado River basin near Austin, Texas. The homeowners envisioned an outdoor patio area that would enable them to enjoy the landscape throughout the year. 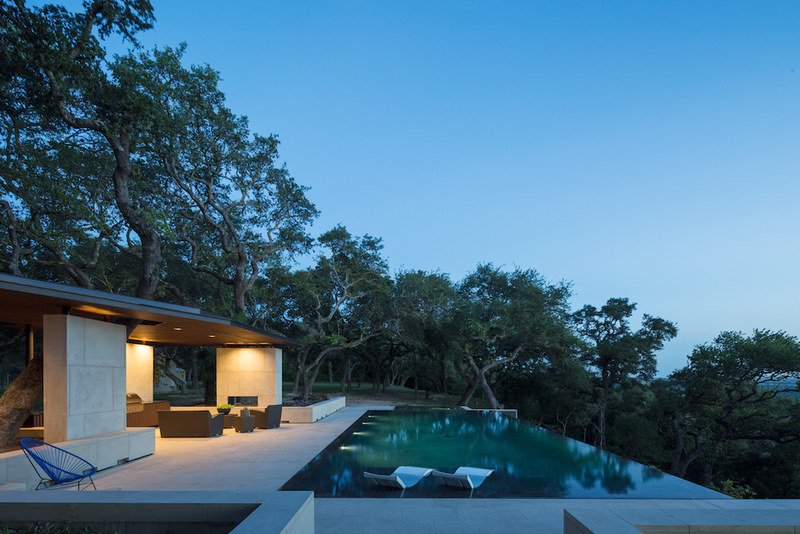 Situated on the bluff’s edge, a series of outdoor rooms weaves among the trunks of a live oak grove adjacent to a new swimming pool. A continuous expanse of limestone pavers delineates the habitable areas from the surrounding natural landscape while creating retaining walls, planters, steps, benches, and flooring surfaces. The various individual rooms are unified into a single fluid space as these elements move with the slope of the topography. Three large limestone columns support the roof along with a series of thinner black steel columns around the perimeter. “The landscape design celebrates the western landscape and bluff overlook. The limestone units morphing between wall and floor surfaces give the continuous space a subtle dynamism.” —Emily Bauer, Landscape Architect, Bjarke Ingels Group (juror) Builder: Shroyco Builder: Sandy Vollentine Planting Design: SOMOS Design and Landscaping Structural Engineering: TK Consulting Engineers Steel Fabrication: Steel House MFG Honorable Mention Project: De Maria Garden Architect: Gluckman Tang Architects Location: Bridgehampton, New York The site is a brick-walled kitchen garden set on an early 20th-century estate. The architects elected to remake the landscape with a robust assortment of indigenous plants. De Maria Garden’s centerpiece is a brick and concrete pavilion containing sculpture and drawings by Walter De Maria. 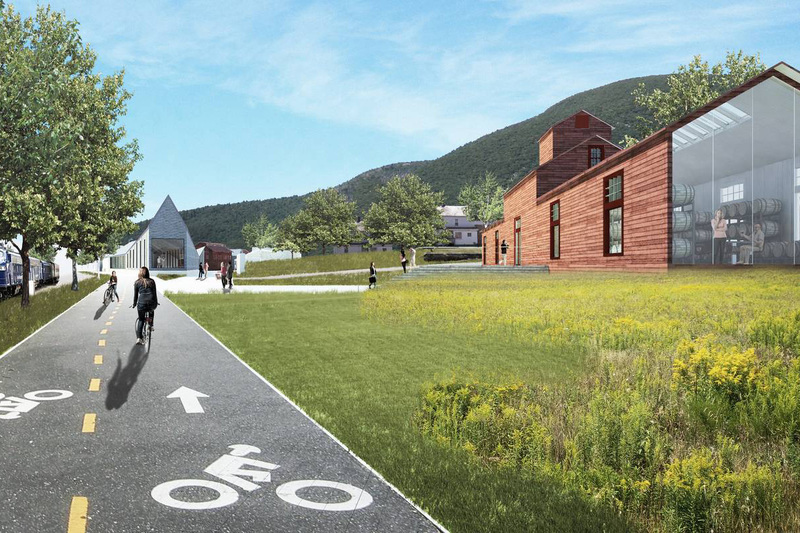 New York-based Gluckman Tang Architects has released their master plan for Western Gateway Heritage State Park (Heritage Park), an integral piece of the larger redevelopment in North Adams, Massachusetts. The proposal links the Massachusetts Museum of Contemporary Art (MASS MoCA), the restored waterfront, Main Street, and the site of Frank Gehry's future Extreme Model Railroad Museum (EMRCAM). The project is part of a larger "cultural corridor" that ultimately hopes to bring the Bilbao effect to this corner of Massachusetts. The plan breaks up Heritage Park into three distinct plazas connected by walking paths. Each area revitalizes the historic industrial buildings within while better connecting to other parts of the city. The North Plaza will contain a new amphitheater, while the Central Plaza will hold a grove of birch trees and outdoor seating. The South Plaza will help orient visitors to Gehry's railroad museum. Originally slated for a 14,000-square-foot, 19th century warehouse inside the park, the Gluckman Tang-designed EMRCAM was scrapped for a 75,000-square-foot Gehry design elsewhere. Featuring architectural dioramas by Gehry himself and Zaha Hadid, the new museum will be located across the street from the MASS MoCA. 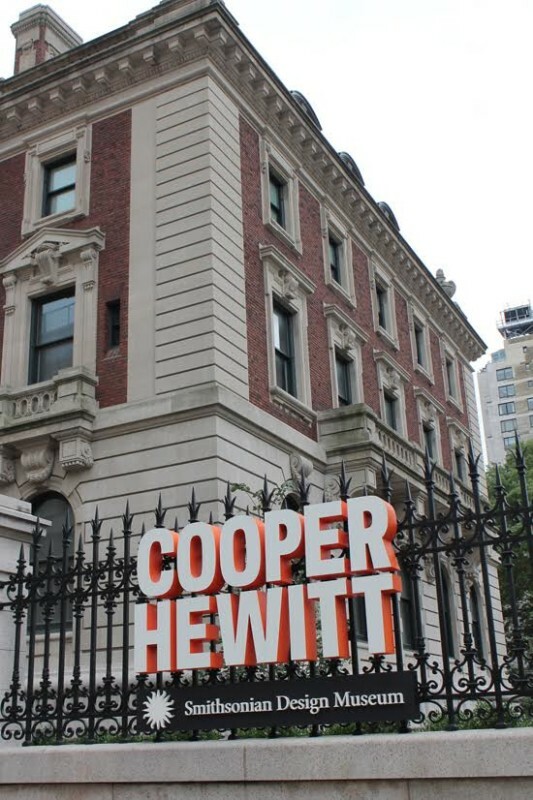 Gluckman Tang will be converting the original park building into a Museum of Time and add another 6,000 square feet, a glazed entryway and a steep butterfly roof. 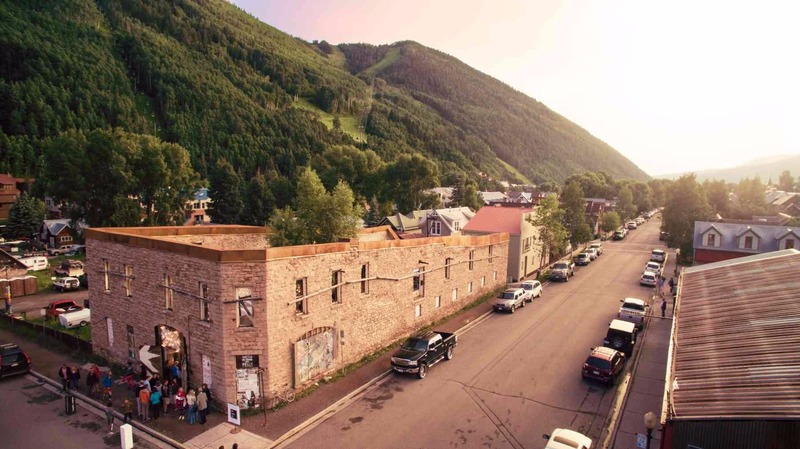 Other than the museum, Gluckman Tang has also proposed converting a 3,250-square-foot coal hopper into a distilling hall, complete with a new 4,000-square-foot retail space and tasting room. “In addition to improving the experience for visitors to North Adams, our master plan will enhance the central role of the city in the Cultural Corridor and its anchor institutions, the Massachusetts Museum of Contemporary Art (Mass MoCA) and The Clark Art Institute,” said Gluckman Tang principal Richard Gluckman. One question left unanswered is how Jean Nouvel will factor into the evolution of North Adams. The French architect was reportedly in consideration to master plan the city as of last year, but news of his involvement has been scant since then. Leading the redevelopment initiative and museum complex is Thomas Krens, former director of the Guggenheim Foundation. Krens has a storied history with Nouvel, and it seems the architect’s ideas will make it into the master plan in one way or another. The proposed Extreme Model Railroad Museum in North Adams, Massachusetts, will be designed by Gehry Partners and developed on a new site in the town. 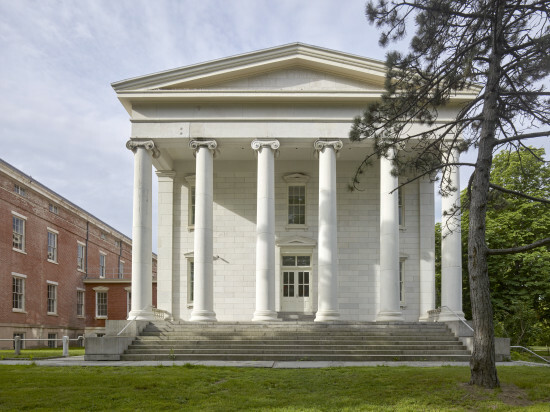 The original design by Gluckman Tang Architects sited in the town’s Heritage State Park will instead become a new Museum of Time based on the New York architect's design. The Berkshire Eagle initially revealed the appointment, and the museums have confirmed the news with The Architect's Newspaper (AN). 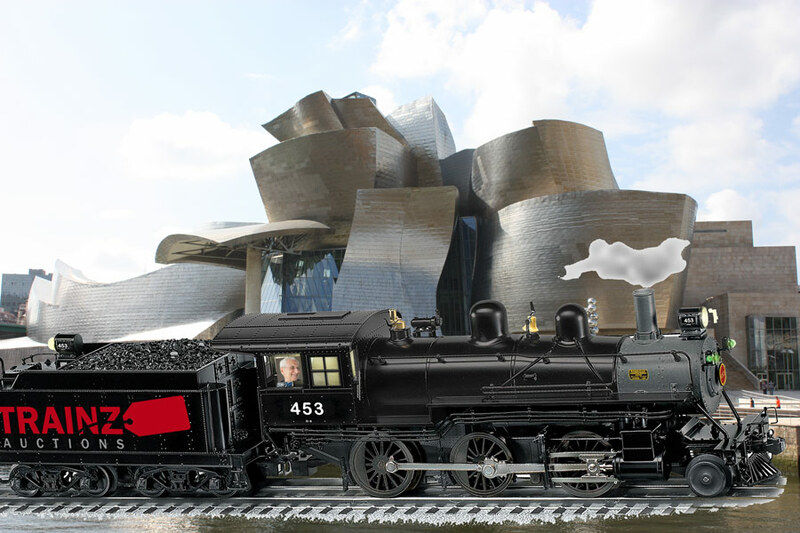 AN has learned that Gehry is designing the train museum, adding that the project has increased from 32,000 square feet to 75,000 square feet. In addition, the project is moving out of Heritage State Park and across the river to a different site. The projects, located on an 83,000-square-foot parcel on Christopher Columbus Drive, will be located just down the street from MASS MOCA, for which Gehry provided initial designs in 1987. Gehry has collaborated several times with the director of the new museums, Thomas Krens, former director of the Guggenheim Museum. Their most notable partnership came with the Guggenheim Bilbao in 1997. Gluckman Tang’s designs had called for large, pitched-roofed, warehouse-like spaces marked with sawtooth skylights. Gehry’s designs are still forthcoming. The Architecture Museum will display large-scale art and architecture works and installations that would never fit in museums in cramped urban contexts. The Extreme Model Railroad Museum will feature scale model trains moving through architectural dioramas created by the likes of Gehry and Zaha Hadid. According to the Eagle, the current plans will cost about $65 million, and fundraising is ongoing. Krens—always ambitious—is also proposing to build the Massachusetts Museum of Time and a distillery in the area, and he’s suggested that Jean Nouvel design the city’s master plan. In addition, Gluckman Tang is doing a master plan for the city's Heritage Park and designing the new Global Contemporary Art Museum on the grounds of the local airport. William Menking contributed reporting. Dineen Hall is a new 200,000-square-foot facility that anchors Syracuse University’s West campus expansion with a distinctive five-story state-of-the-art building for the College of Law. A central atrium at the main level visibly linking the core elements—a library, a celebratory space, a ceremonial courtroom—is positioned beneath a green roof that creates a seasonal outdoor terrace, with the skylit vertical axis introducing natural light throughout the building. The iconic ceremonial courtroom will be visible from inside and outside the building, signifying the law school’s inherent accessibility and transparency. 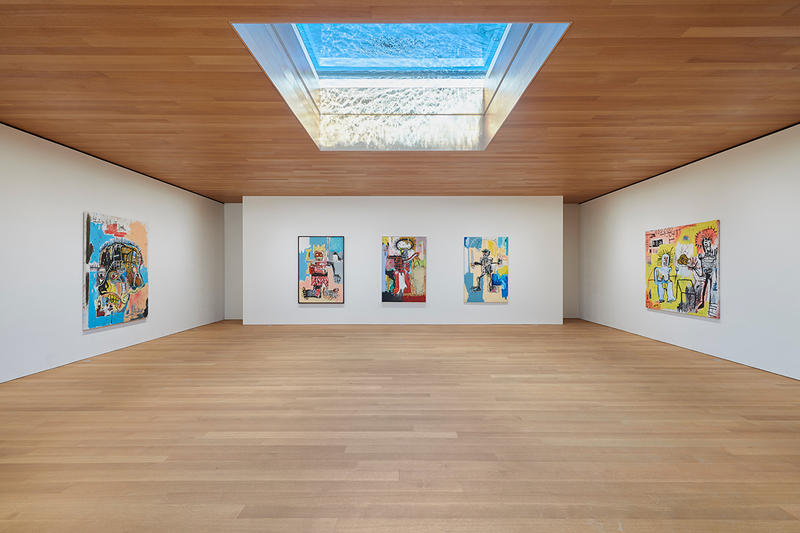 De Maria Pavilion Long Island, New York This is the second Gluckman Tang–designed single-artist exhibition structure on this Long Island estate (the firm created the earlier Noguchi Garden Pavilion in 2004). 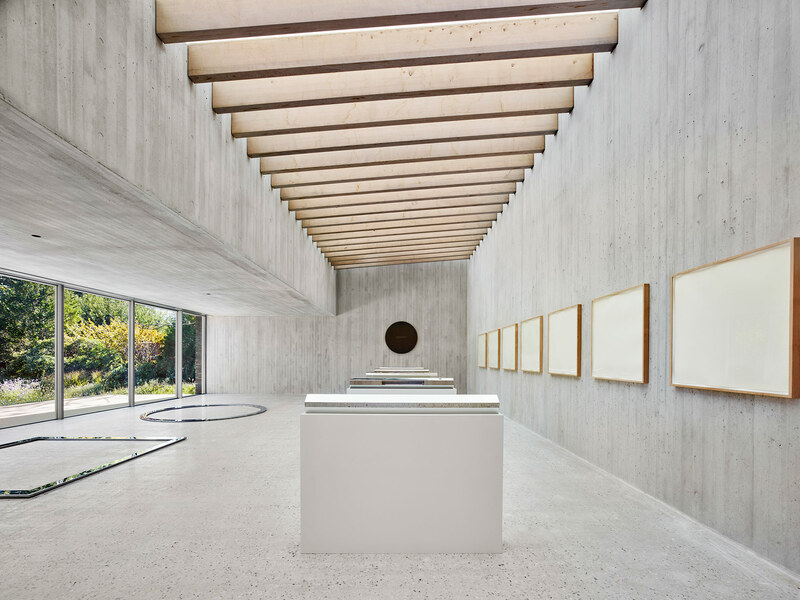 A board-formed concrete interior frames a selection of Walter De Maria works, and is naturally lit by a large skylight and window-wall. A brick exterior references the 1920s garden wall. Zhejiang University Museum of Art and Archaeology Zhejiang Sheng, China This facility is a teaching museum that supports research and study of the arts on a campus for Zhejiang University. The contemporary design alludes to various aspects of traditional Chinese architecture and garden design. 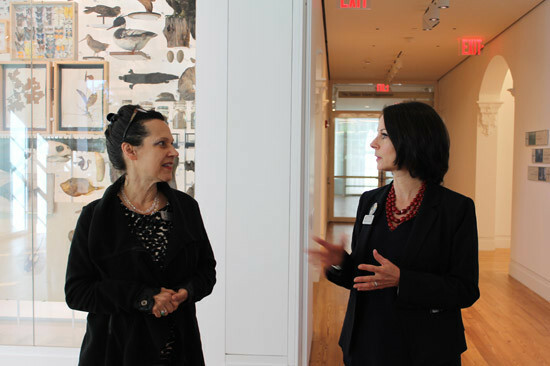 It brings together three major elements—public exhibition, art study and storage, and academics. The museum’s entry and lobby overlook a garden along a canal to the south. The four-story academic wing has its own entry facing the new campus to the north, and contains the library, auditorium, classrooms, seminar rooms, study centers, conservation lab, and education center.